The Animals of Natural Disasters – FIREPAW, Inc.
Natural disasters like the recent hurricanes can take a terrible toll on animals–and their humans…’In 1999, Hurricane Floyd caused 2.9 million pet and livestock deaths, and thousands more owners lost their pets. The aftermath of Hurricane Katrina was particularly devastating. The Louisiana SPCA estimates that 15,500 animals required rescue, and that 80-85 percent of these animals were never reunited with their owners.’ The big question: What measures are in place to help prevent death, injury and separation of animals in natural disasters? And, what can we do to improve the odds? What happens to Rex and Kitty after a natural disaster? The ASPCA conducted the first ever nationwide assessment of emergency response capabilities for animals, the results of which were reported in Journal of Homeland Security and Emergency Management in an article entitled, “The National Capabilities for Animal Response in Emergencies (NCARE) Study: An Assessment of US States and Counties.” This survey of officials who oversee emergency preparedness in US States and counties — led by Vic Spain, DVM, PhD, veterinary epidemiologist for the American Society for the Prevention of Cruelty to Animals (ASPCA) — investigated which American communities are prepared to deal with the animal victims of an emergency and how and where emergency response planning can be improved. The results of the study were mixed — much progress has been made, but there is still much to be done. Most states and about half of high-population cities and counties had organizational infrastructure for managing animals in a disaster, such as a State or County Animal Response Team. In contrast, only about one in four smaller population counties had such an organization, even in regions of the country prone to frequent natural disasters. 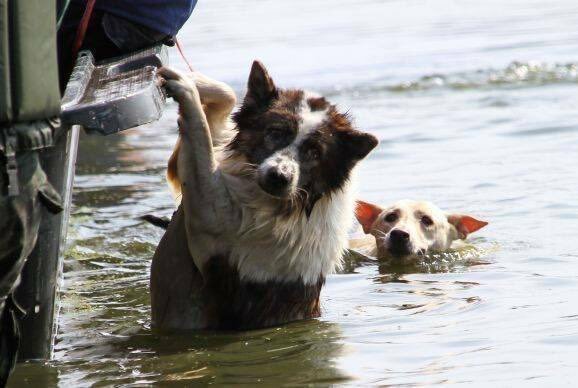 People with pets are more likely than people without pets to refuse to evacuate in an emergency situation, putting their lives, as well as the lives of the people sent to rescue them, in danger. Only a little more than half of US counties, however, reported having plans for emergency shelters in which pets and people could be housed together. A loss of animal life not only has an economic, but also a psychological impact. Studies show that pet loss after a disaster can be devastating for humans. Fifty-six percent of Americans now have pets. In the future, due to population growth, and the increase of not only the percentage of Americans living in disaster-prone areas, but also the number of natural disasters, the problem is going to get bigger.